She's Fantastic: Women of Halloween Part 13 - EXPLODING FAIRY ISZ! The Pink Fairy Isz, or Exploding Fairy Isz, came packaged as accessories in three different figures in Shocker Toys' Indie Spotlight Series 1 action figures. 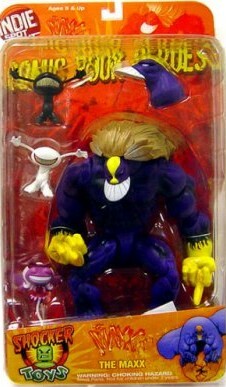 The Maxx was the oversized "anchor" of this wave, so all the characters came with an Isz. 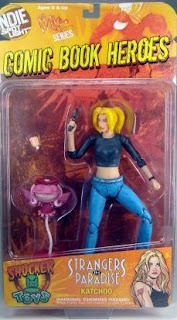 Kabuki, Katchoo, and the Maxx himself came with pink Isz's. 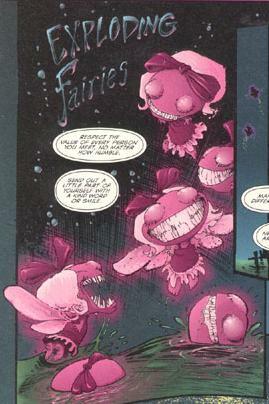 Here is an image from a great little website dedicated to the exploding fairies. Click this pic to open the page in a new window.